This was one of my Red Amaryllis flowers. I have a whole bed of them. 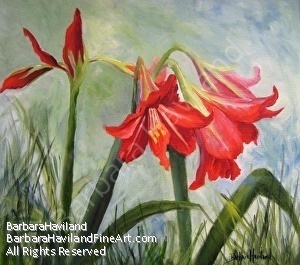 The painting is done in oils and on a gallery wrap canvas.It is signed by me and comes ready to hang and enjoy. Thank you Novipaintings very much for your comment.